In Which the Pirate Finishes Spinning a Yarn. 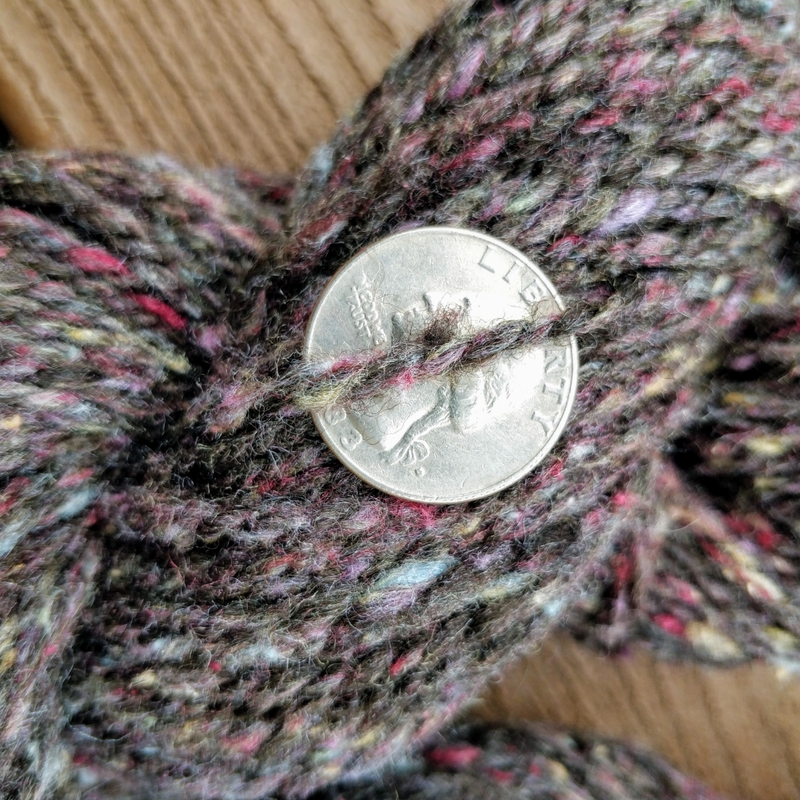 Eight (oops) years ago, I bought eight ounces of soft Corriedale roving with silk carded into it, thinking that I would make an airy tweedy yarn. 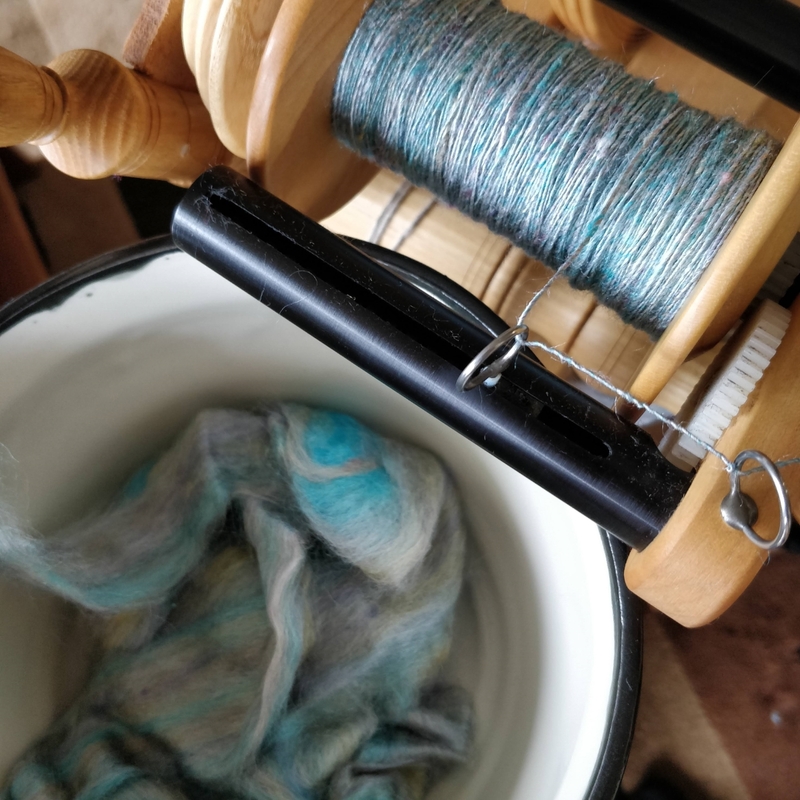 Then I realized that I didn't know the first thing about how to spin woolen, and I didn't want to "ruin" the fibre by spinning yarn that wasn't what I wanted. But now I *do* (sort of) know what I'm doing, and so here's almost 300 yards of soft, tweedy, two-ply yarn that is destined to become a new pair of Fleeps. The bits of silk were a fun spinning challenge; I had to draft more carefully, and sometimes stop treadling and draft them out separately, to keep them from making big blurps in the finished yarn. It was worth the effort, for sure. The yarn is fairly even and I think it will knit up well. From afar, the yarn looks like a heathered gray... but up close, it's easy to see the pink, yellow, blue, and purple pieces. I'm really very happy with how this has turned out! It will probably floof up a little more once it's washed, and then I'll probably give it some good thwacks against the side of the tub to full it a bit before knitting. I'd like my next Fleeps to be extra-warm, so I'm spinning this silk that I bought in May to use as a mitten lining. Switching between a quick magical long-draw for the Corriedale and a slow short forward draw for the silk was an interesting mental shift to make! The plan is to chain-ply it at a tight twist, and hopefully that will keep it from shedding too much against my fingers. Comments Off on In Which the Pirate Finishes Spinning a Yarn. In Which the Pirate's Handknits Go on Vacation. Michael and I visited friends earlier this month. 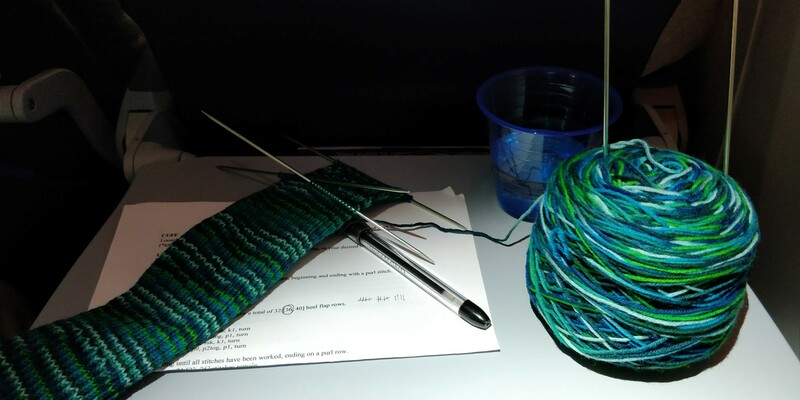 We both worked on our socks on the plane, which was a good conversation starter with our seatmate (she crochets!). One of the flight attendants commented, "Whatever it is you're making, I wear a size medium," which was both funny and not at the same time. I know people mean that sort of thing as a joke, but it comes across as having no concept of the time and effort that goes into these things - probably because I get similar comments so often that I almost expect to hear "could you make me a--" or "you should knit this for me--" or even "you *need* to make me one." Yikes. It was warm when we got on the plane, but cold when we landed. I pulled on my Fleeps and immediately noticed that a crucial strand of yarn towards the top of one finger was dangerously thin. So thin, in fact, that it fell apart when I inspected it more closely. Fortunately, the local yarn shop was generous enough to give me the tail end of some green yarn they had lying around, and now my Fleeps look a little more battle-scarred. I could re-knit that finger... but I think I'll just leave it like this. It looks kinda cool. 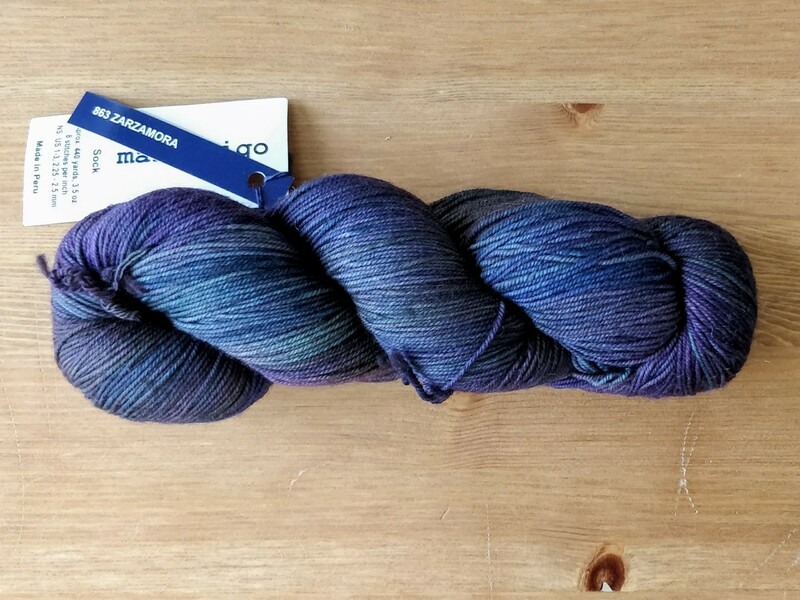 I also bought this lovely skein of Malabrigo Sock yarn in the Zarzamora colourway, because the people at the store were just so nice about everything. I posted a thank-you note to them in their Ravelry group, too! One night it was a little too cold for me, and Michael let me wear his floppy hat. 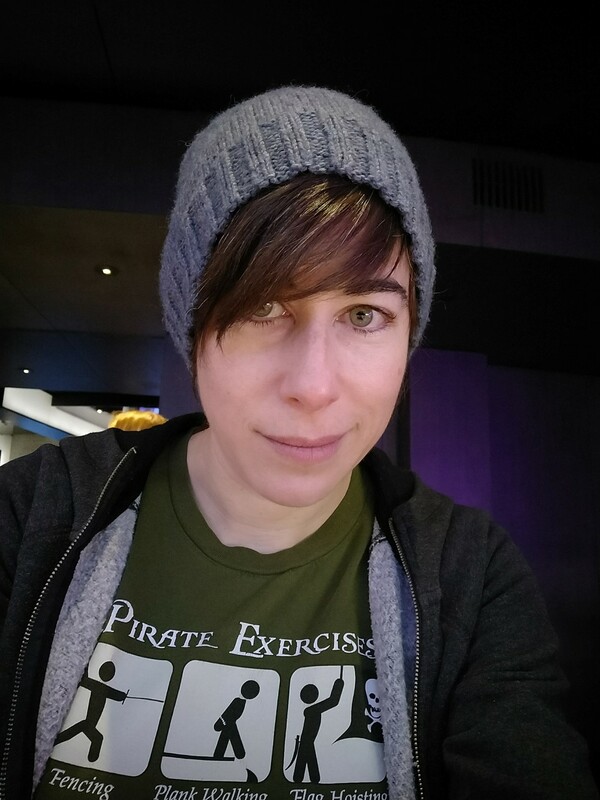 He posted this pic to his instagram with the caption, "[Pirate] often says she loves when people wear the things she knit for them. 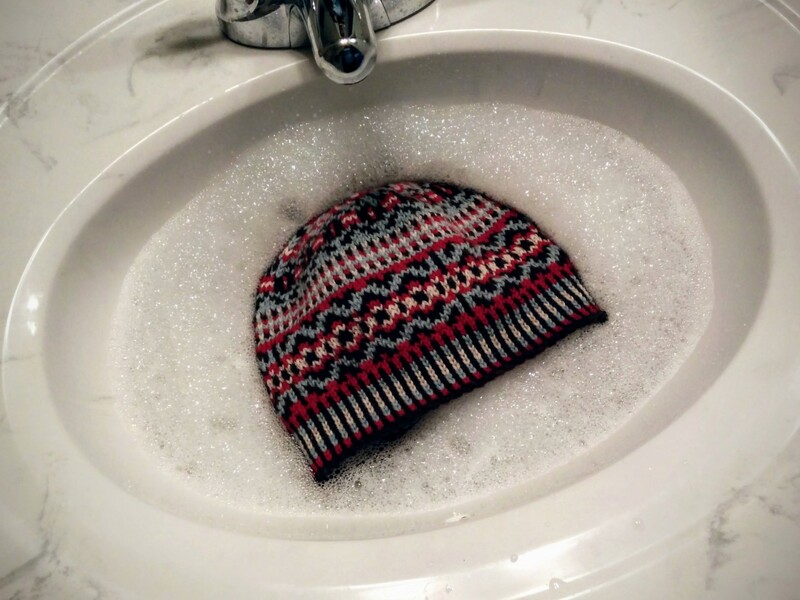 I knit this hat for myself, but it was cold out, and I know what she means now. ❤︎" Is that not the sweetest thing? Then we had duck confit ramen for dinner, which was exactly right for the weather and my mood. Also I think I need to make a floppy hat for myself. 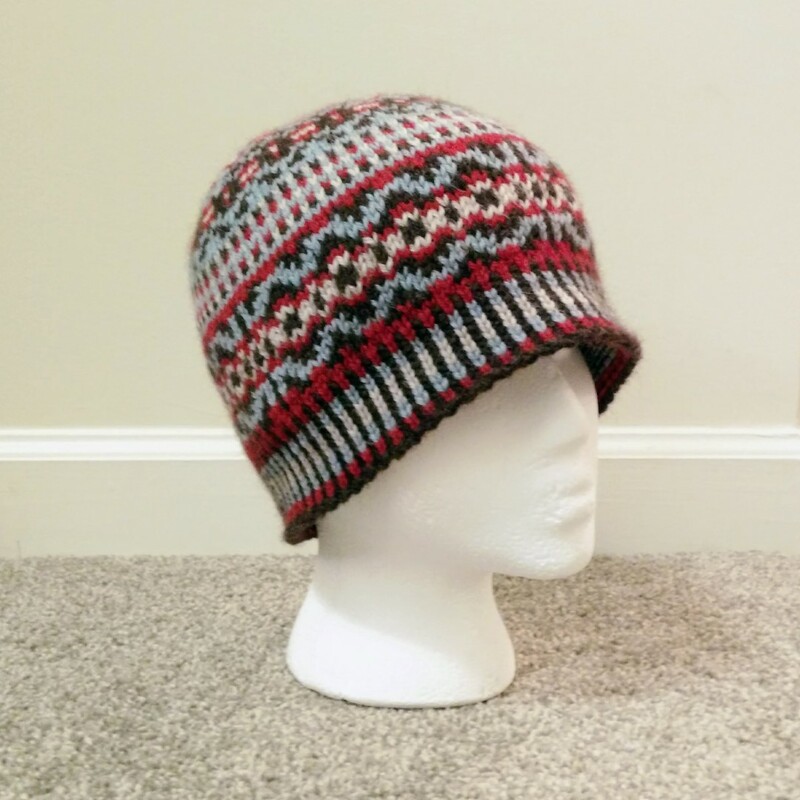 Maybe a floppy stranded colourwork hat! With a pompom! On the plane ride home, I got up to the heelflap of my current sock. I'm knitting my own Cakewalk pattern again, and realized that... um... it's kind of confusing. Lots of people have made the pattern and no one's said anything, so maybe it's not so bad - but I'm going to update it so that it's more clear. Heck, this is my fourth pair of Cakewalks and *I've* never noticed a problem before. Maybe I knew what I meant when I wrote it, but I sure didn't this time! Anyway, I'm quite pleased with the way these socks are coming out. The yarn is from last year's vacation to Salt Lake City; it's Cascade Heritage Paints in Teal Mix, some of my favourite colours of all time. I'm well into the gusset now and I've remembered why the pattern instructions are what they are, but I still think they need to be clarified in an update. Perhaps that will be tomorrow's project. Comments Off on In Which the Pirate's Handknits Go on Vacation. In Which the Pirate Surprises. Michael had mentioned that his Fleeps were starting to get thin in places again, and after Thanksgiving I took them home with me for their third repair job... which was really just a sneaky excuse to take some measurements and observations so I could knit him new ones. 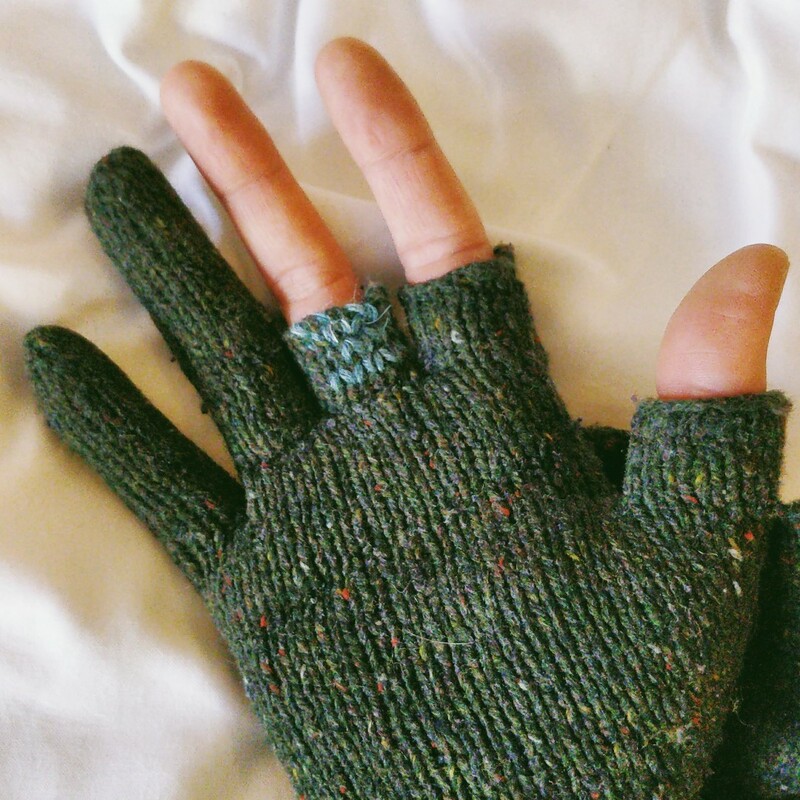 I worked from my notes from his first gloves, combined with the constructive feedback that he'd provided and checking to see where the old ones had worn out. 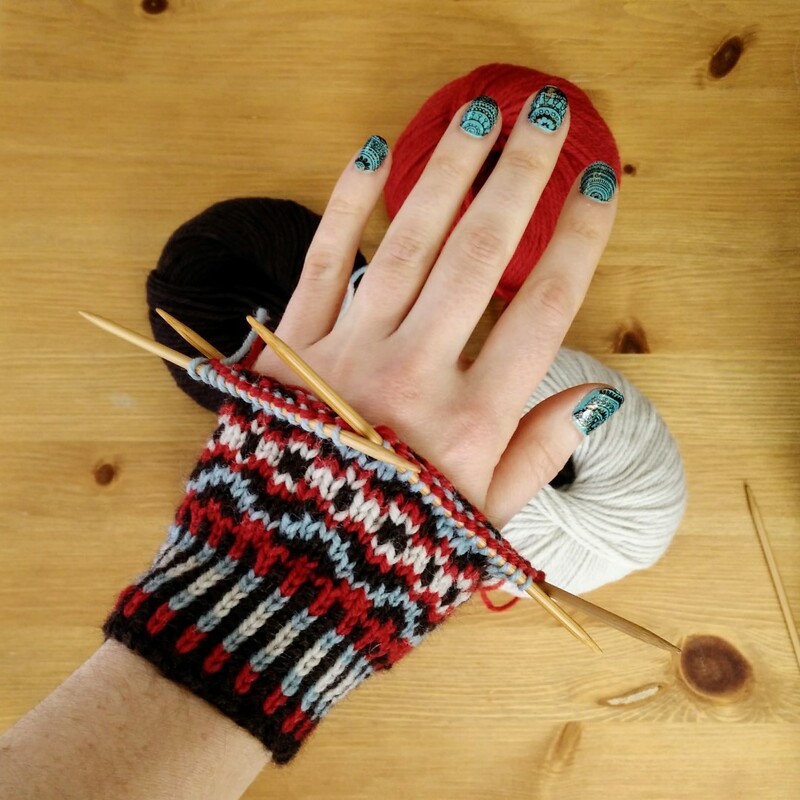 The new ones have longer thumbs to prevent a gap, seed stitch flaps rather than ribbed so they won't pull in quite as much over time, and duplicate stitch reinforcements at all the corners where the flaps attach to the body of the gloves. It looks as if the mitten-top is crooked, but they're lined up with the hands rather than the wrists, so they fall straight when the gloves are actually on. They're also a grayer kind of gray; his first pair was a darker gray with red tweedy flecks, but I couldn't find the darker colourway. The yarn is Jo Sharp Silk Road DK Tweed, which wasn't available in the US for a while but now WEBS is carrying it again. I used Peppercorn for Michael's Fleeps, and bought two balls of Serpentine for another future pair. I used a combination of the Cigar and Gnomittens patterns, adjusted for the shape and size of his wrists and hands. Both patterns are free, but I found that they needed quite a bit of customization to make them fit perfectly. 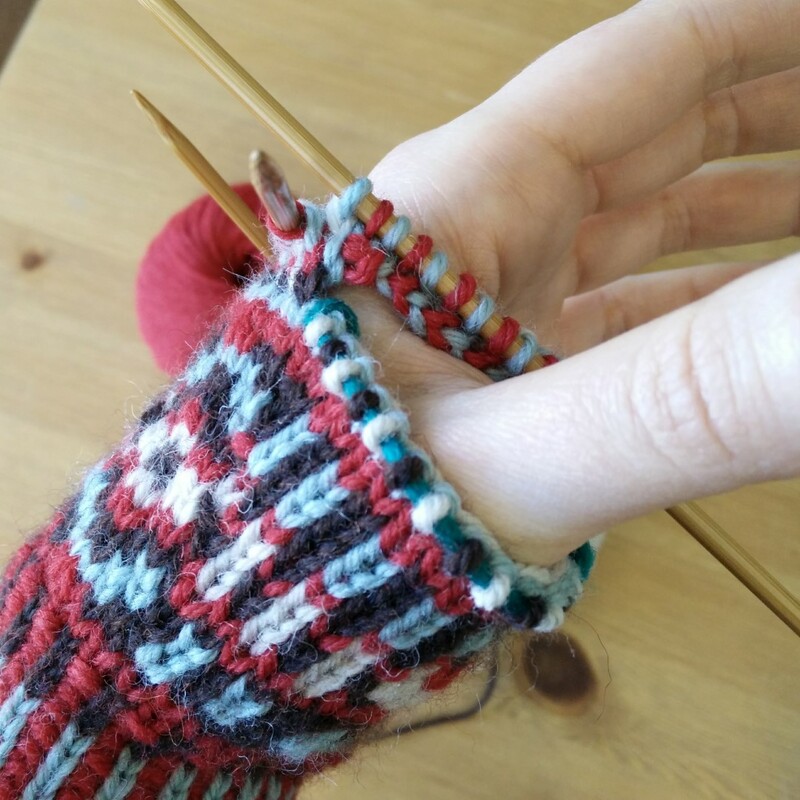 The cuffs would have been too large around as the patterns are written, so I took some stitches out of them, and then had to add width back in for the hands. I was very glad to have taken such careful notes on the first pair; it made it much easier to make the second set fit to perfection as well. The gloves were done enough for me to wrap them up and give them to him on Christmas Eve, but I hadn't had the chance to sew on the snap-magnets (which is the most annoying, fiddly part of the whole project). I'll do that today, and then they'll be the last project on the books for 2015! Comments Off on In Which the Pirate Surprises. In Which the Pirate Goes to Canada. 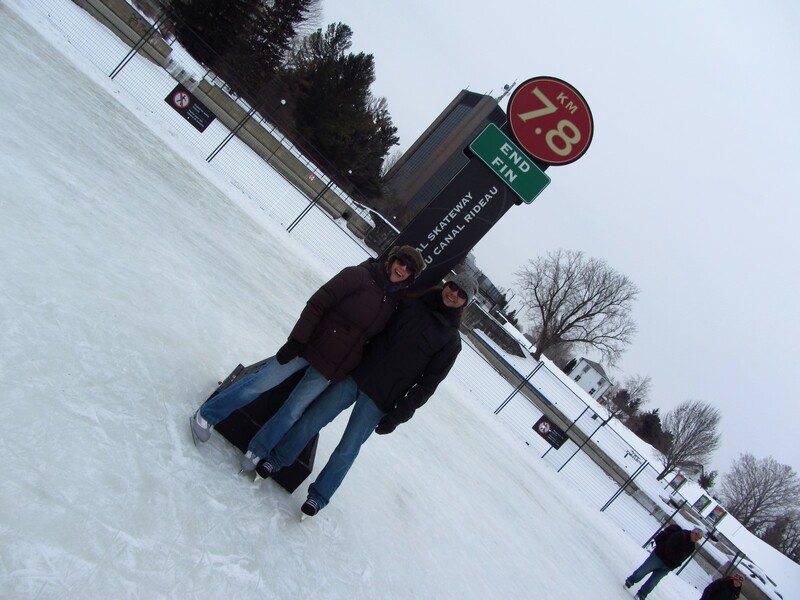 Last weekend, Michael and I went to Ottawa to visit our sister the Ninja for Winterlude! 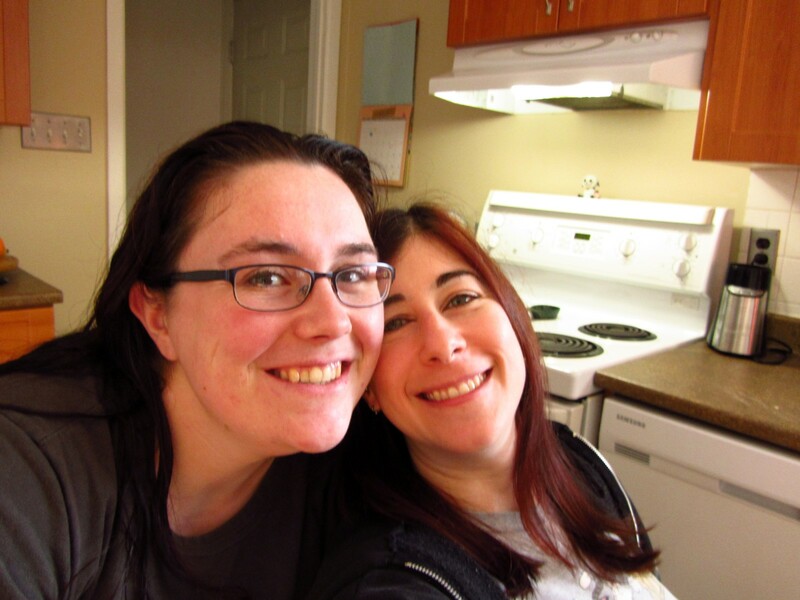 We had a wonderful time - cooking, going to pubs (haggis nachos!) and yarn shops, skating on the Rideau Canal, checking out the ice sculptures, watching the Superb Owl with friends... I wish we could have stayed longer. Of course, I bought souvenir yarn. Quite a bit of it, actually. On Friday, we went to Knit-Knackers in Smiths Falls, where I may have gone overboard. Michael bought me some Patons Kroy in Rainbow Stripes, a colourway that I haven't seen in my local stores, and a coordinating skein of navy for the toes/heels/cuffs. 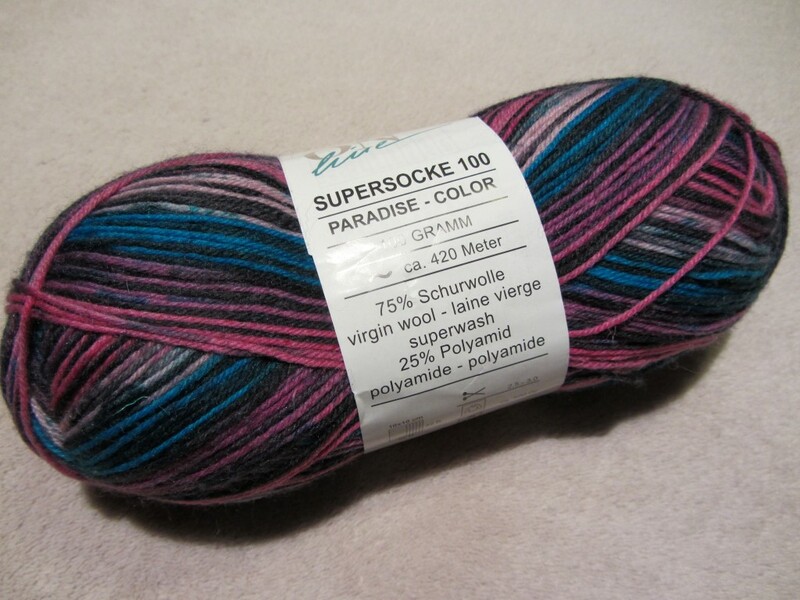 I picked up a ball of ONline Supersocke 100 in a tonal pink for a textured or cabled sock that I haven't yet designed, and another ball of Supersocke 100 in a colourway that looks exactly like skiing in 1988. Awesome, eh? I can't wait to knit this one up! 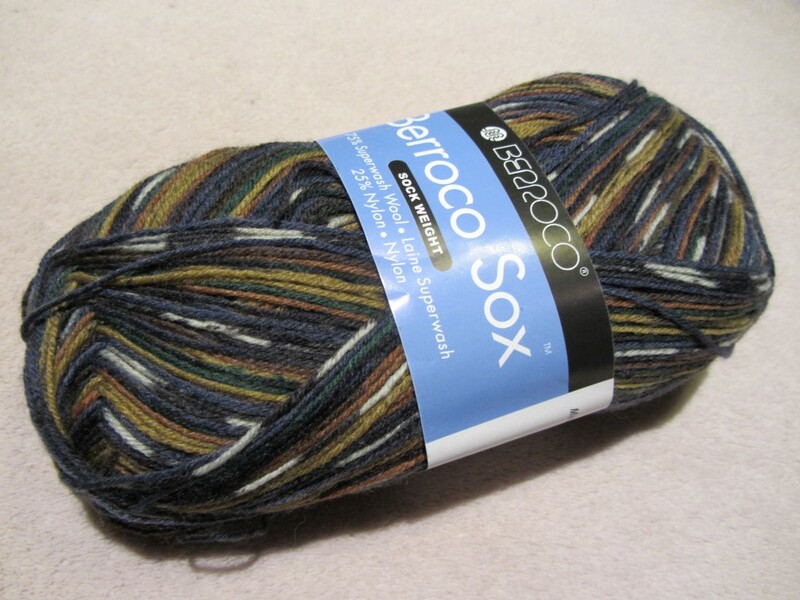 Before the Superb Owl on Sunday, we stopped by Yarn Forward in Ottawa where I couldn't resist this ball of Berocco Sox. If they hadn't had a partially-knit sample sock in the colourway, I might have passed it by. It wasn't until later that I realized with some amusement it has that same mustard-yellow colour that's in the yarn for my planned long johns! Ottawa is one of my favourite cities, and already I'm looking forward to going to Winterlude next year - though I'd like to visit again in warmer weather. It would be nice to travel with a little suitcase, instead of a big one stuffed with wool sweaters and ice skates! Comments Off on In Which the Pirate Goes to Canada. In Which the Pirate Has a Snow Day. There was no work yesterday due to "the most snow that Washington has seen in years." This seems to me like a bit of exaggeration as I only saw about four inches of fluffy dry snow up at my house. That's is nothing compared to the 18 inches of heavy wet snow I got last March (when it only rained in DC). But hey, a snow day is a snow day, right? So, with nothing else to do, I finished knitting the hand of one Fleep and got started on the next. 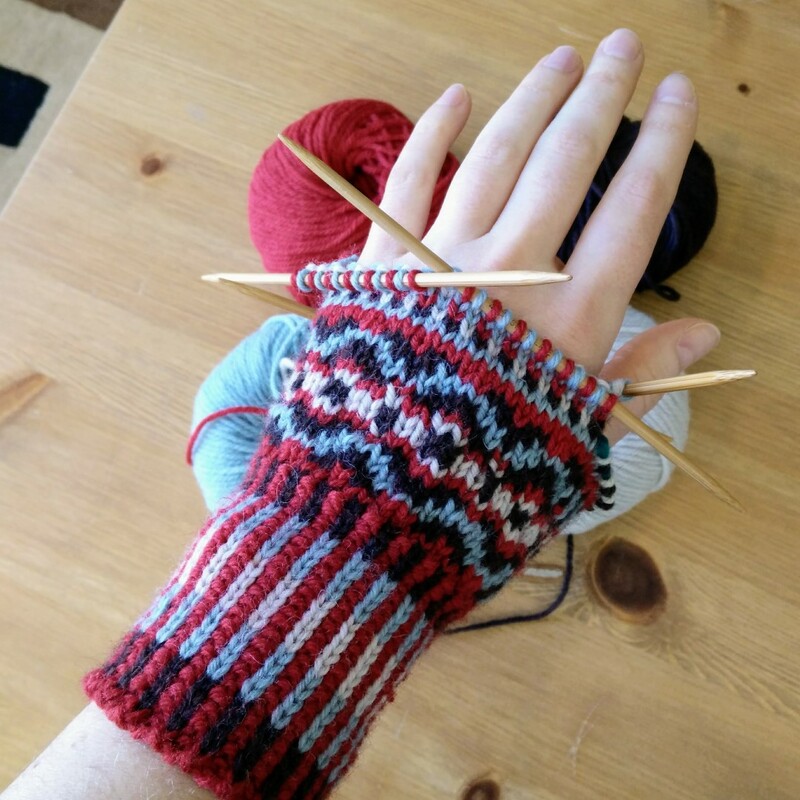 I'm only a few rounds from the base of the thumb now, and am on schedule to have them completely finished, mitten-tops and all, by the end of the coming weekend. 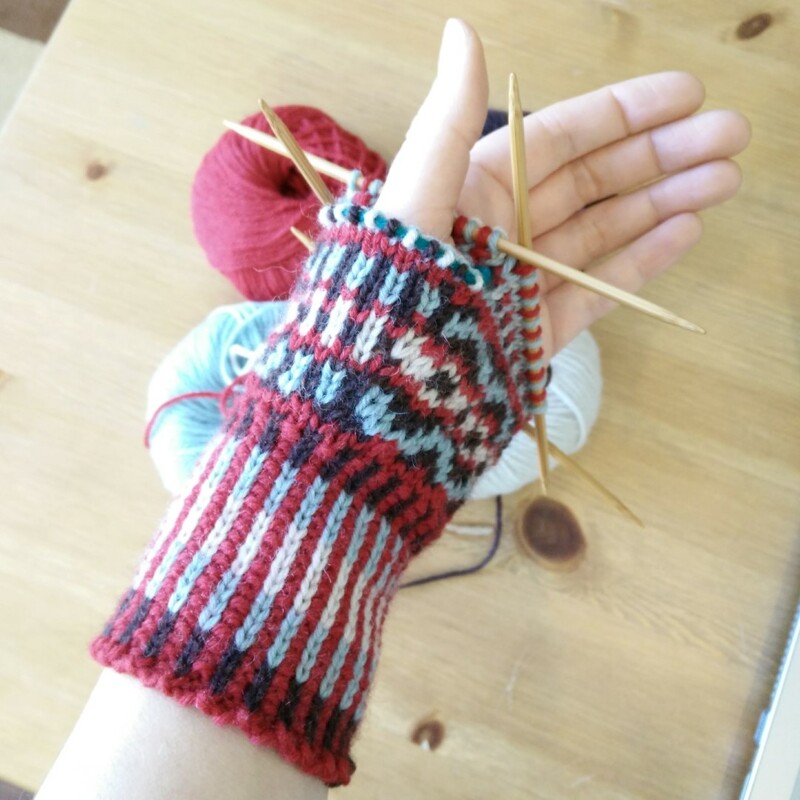 It seemed like a good idea to do both hands first, and then both mitten-tops, so I can be sure that they're attached at the same place on each glove. This morning it was so cold that my poor fingers got frostnip just clearing the snow off the car. I know it will be cold in Ottawa next week, and I've no desire to repeat this painful experience. 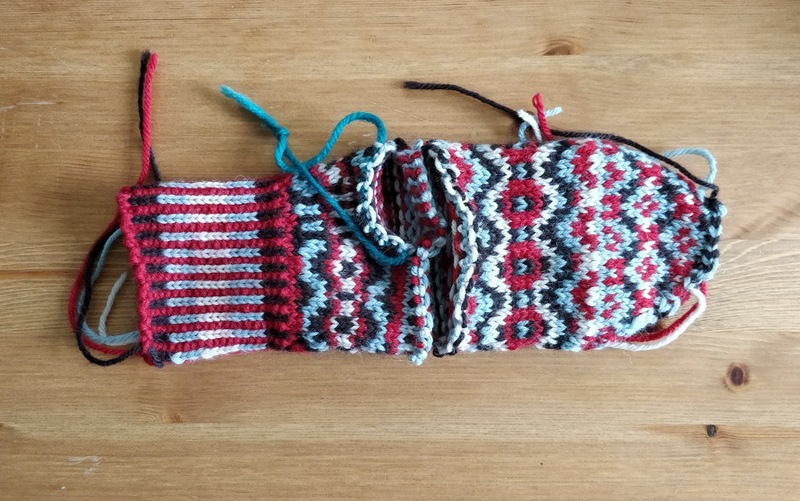 The idea of lining the mitten-tops with polar fleece is getting more and more attractive, but whether it gets done will depend on how quickly I can finish the actual knitting and weave in all the ends. I've been asked, semi-seriously, how much I'd charge to make a custom pair of Fleeps for someone. It's a good question, and I spent some time thinking about it as I knit. I generally only knit for people as a labour of love, but if the price was right I'd consider taking a small commission like this one. My time is valuable and knitting to a deadline tends to make me grumpy, so the "right" price would be astoundingly high, probably $300 at a minimum. Do you take commission work? How much do you charge? Is it something you enjoy doing? In Which the Pirate Revisits the Fleeps. 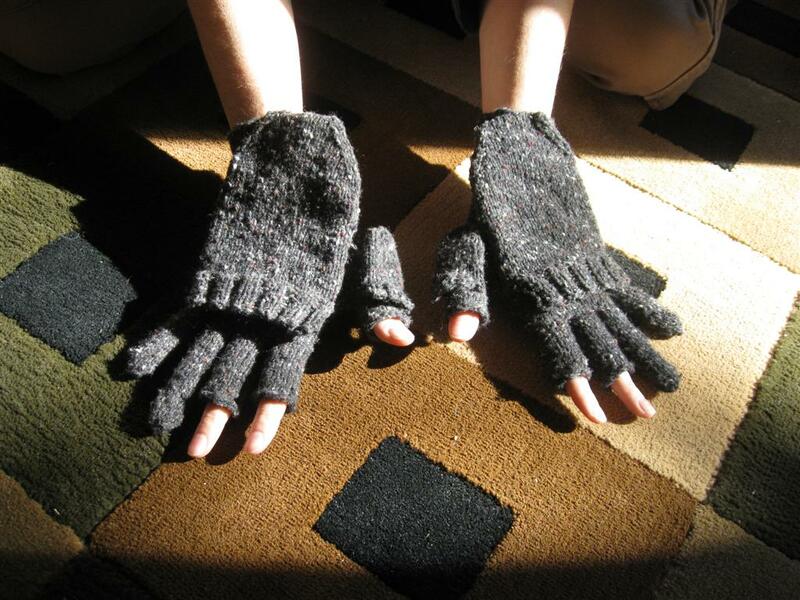 Way back in 2009, I knit what was to become my most-worn project: a pair of convertible mittens with two full fingers and a few exposed fingertips, using a combination of the Cigar and Gnomittens patterns. They were made specifically for Winterlude in Ottawa, so that I could have my hands mostly covered and still be able to hold my spoon at the outdoor stew cookoff. One only really needs three fingertips in the winter, right? What can't you do with just three fingertips? But I knew that one day, my Fleeps would become thin and need replacement. 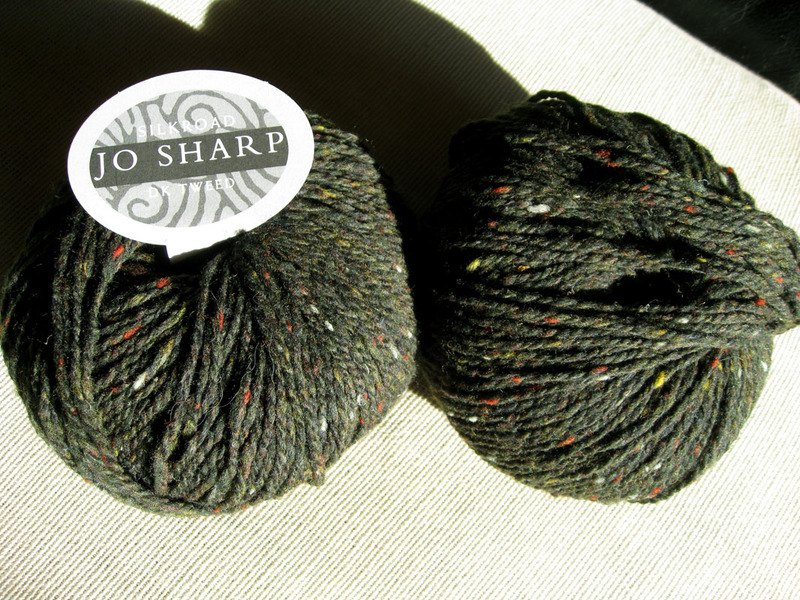 And I knew that the yarn (Jo Sharp Silkroad DK Tweed, which is 85% wool/10% silk/5% cashmere) was getting harder and harder to find. So a year later when I was in Ottawa for Winterlude again, I bought two more balls of it, this time in a deep green colourway with red and yellow tweedy flecks, called "Cedar". I've missed going to Winterlude for a few years, but this year I'm going back, and so in the beginning of the month I cast on for the next pair of Fleeps. 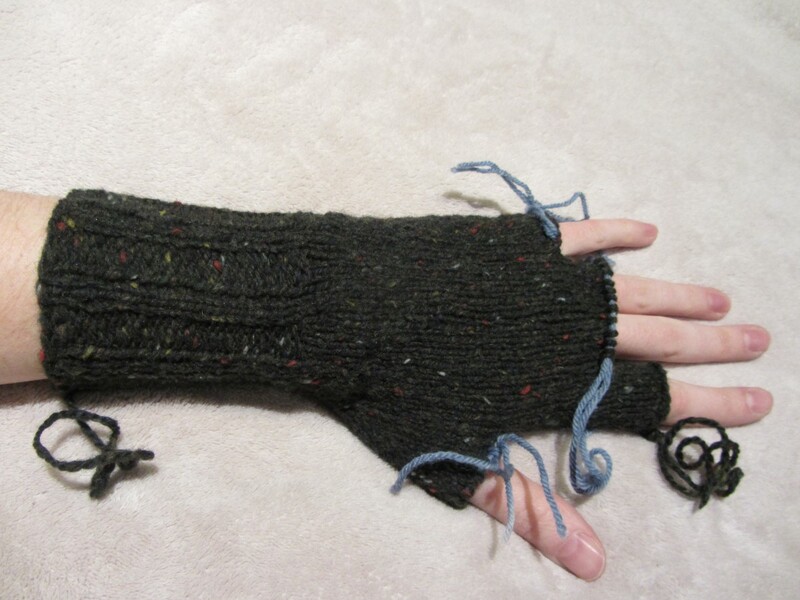 The first one is nearly done, with just a few more fingers and a mitten top to go. I may be frantically knitting on the train again, but I swear, these will be done by the end of the month so I can wear them around one of my favourite cities! Unfortunately, the yarn isn't as great as I remember from the first pair. It seems weak. There are some very thin spots, and in one place one of the plies had frayed and broken so that I had to rejoin the yarn. The knitted fabric is a good weight, though; I'm not worried about these wearing out in just one season. 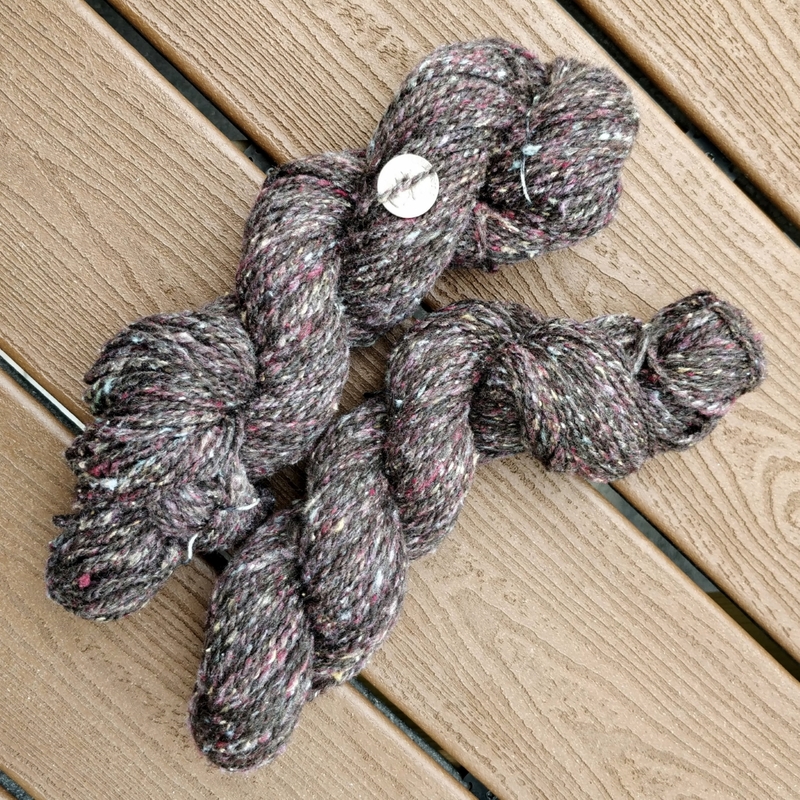 Because it's so hard to find and because I'm annoyed at the yarn, I'm going to be looking for a replacement DK-weight tweed for my inevitable next pair. I think I'll always want a pair of Fleeps around! I'm following my notes from the first Fleeps very closely. The only changes I'm making are to shorten the index and middle fingers, which are the half-length fingers, so that the finger covering ends before my first knuckle instead of after it. More cover seemed like a good idea when I made the first pair, but the fabric bunched up oddly when I bent my fingers. 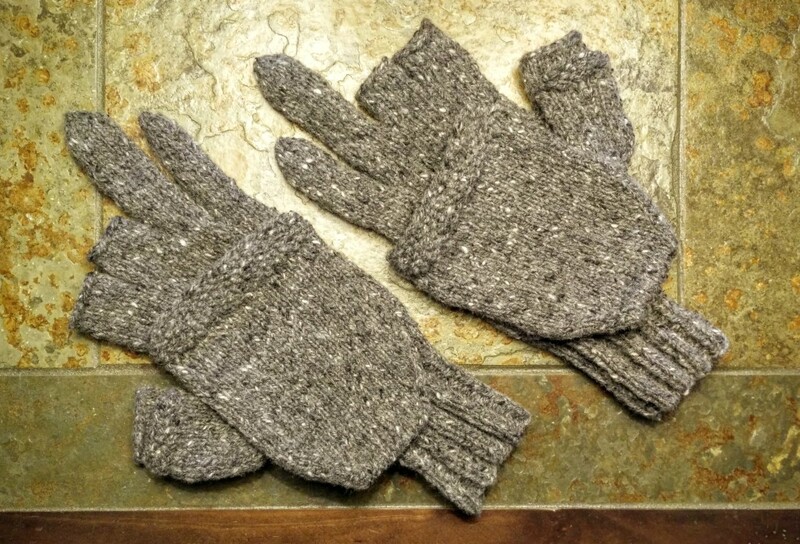 I'm definitely going to sew magnetic snaps onto these to hold the top to my wrist and keep it from flopping about, and I'm also considering sewing a polar fleece lining into the mitten for extra warmth. Comments Off on In Which the Pirate Revisits the Fleeps. 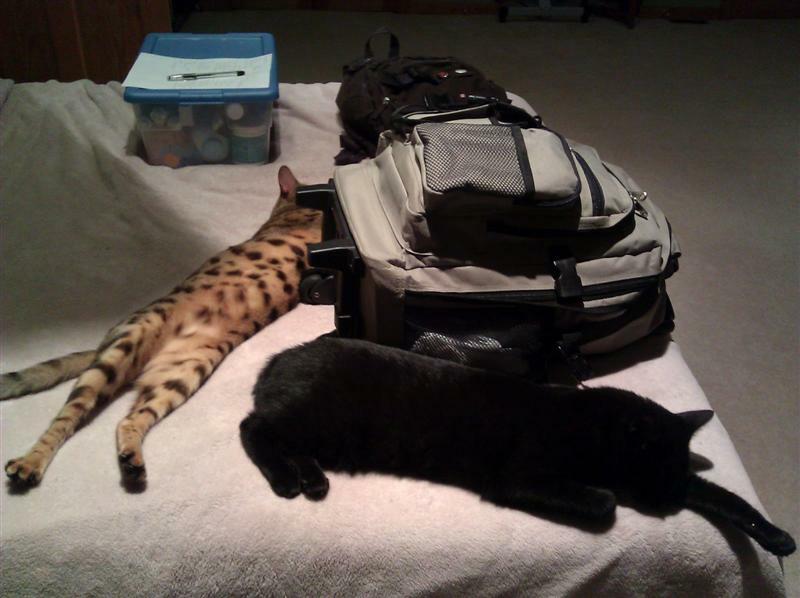 "Do you think, if we blockade her bag, she won't be able to leave?" "It's worth a shot. Come on, I'll take this side, you stretch out over there. She'll never be able to get through us." "This has never worked before... but okay." I am heading off for a two week vacation! The hardest part of packing was choosing what knitting projects to bring. I'm just about up to the heel turn on the second of my traveling socks, so I decided to bring another skein of sock yarn with me. 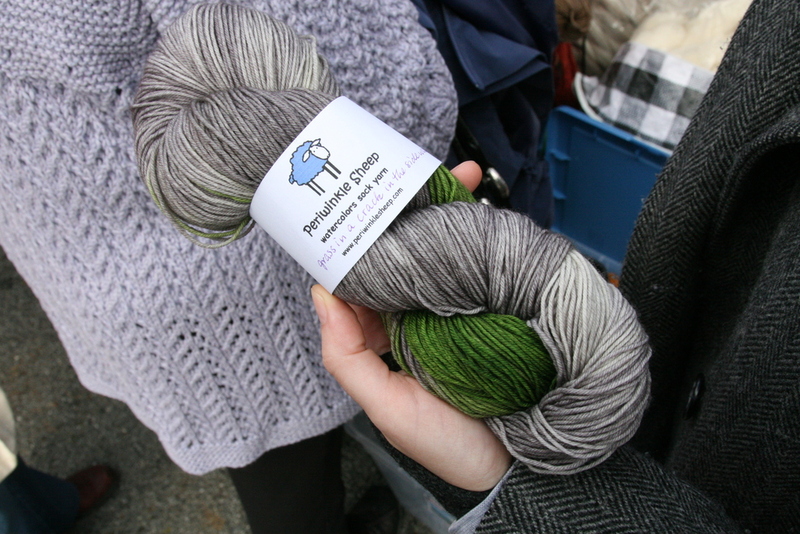 I chose the Periwinkle Sheep that I got at Rhinebeck last year, and I'm finally going to make Cakewalk socks for myself. Then I thought, maybe that's not enough. Maybe I should bring yarn for the fancy cabled kneesocks that I've been wanting to knit for years. Should it be Clessidra? Or Rhiannon? Then I realized that as tempting as it may be to say that I'd have two weeks of pure knitting time, the truth is that I'm not going to work on something fancy or complicated at Pennsic. It takes too much concentration. I need something simple that I can do whilst holding a conversation, something I can put down and pick up without losing my place. The yarn for my new dark green Fleeps is in the bag. I don't have any posts queued up for while I'm gone, but I'll see you all in two weeks!